Like the scrolls of Roman times, this pattern is elegant and classic. 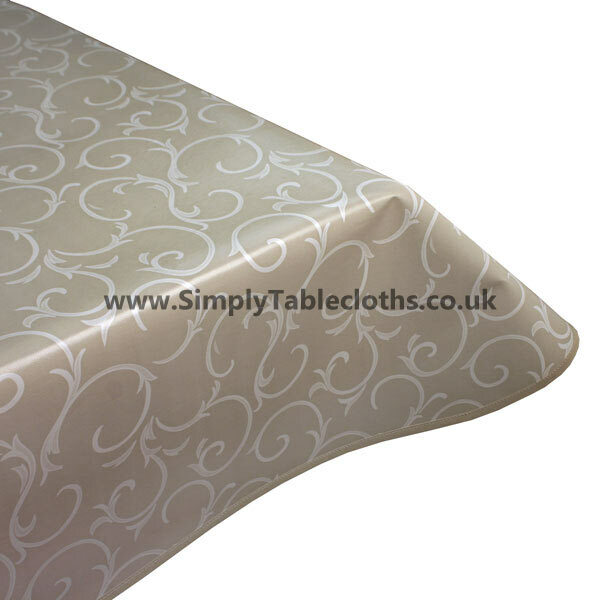 Against a beige background, the while scrolls swirl across the tablecloth, making this a great choice for a formal get together. Neutral colours will match whatever décor you choose. The vinyl surface is simple to clean with one easy wipe.